The trends vary. While every institution has their own take on the strategic use of print pieces for prospective students, each grapple with the same considerations. What is the right balance between print and digital? Where in the recruitment cycle? What kind of pieces? Does Generation Z even look at print? Is it really just for parents? *Oh, and they like stickers, too. Our CVB Clients tell us that print is here to stay, though how they use it is evolving. Many are shifting away from expensive, one-size-fits-all print viewbooks. Instead, they start the recruitment cycle with inexpensive print pieces (postcards, tri-fold brochures) inviting prospective students to create their own CustomViewbooks. Once more qualifying information about the prospective student is captured, a targeted print piece is sent, with content relevant to the prospect’s interest. For many of our clients, this streamlined approach has resulted in reduced print production costs. We get it – print and digital communications should work hand-in-hand! CustomViewbook has two customizable print designs available for our clients, (a hand-out piece and a self-mailer), each working to build awareness and drive prospects to create their own CVB. And, we can help clients track the effectiveness of these print campaigns with specific source URLs. Want to learn more about how CustomViewbook can help make your print strategy more effective? Contact Mary Pannullo (mary.pannullo@customviewbook.com) and schedule a demo, now. 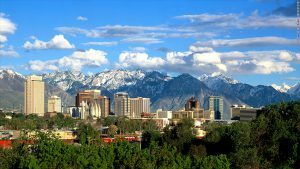 New Features, Generation Z Reports, Super-soft T-shirts: 2018 NACAC National Conference in Salt Lake City – Here We Come! We are excited about the upcoming Annual NACAC Conference in Salt Lake City this month from September 27 through 29. If you are in Admissions, Marketing Communications or Enrollment Management, be sure to stop by and visit us at Booth #208. Client data shows: Prospective students who create their own CustomViewbook are, on average, 4.5X more likely to enroll than the rest of the prospect pool. Participants will receive insightful reports – candid feedback straight from college-bound Generation Z high school juniors and seniors in our “Generation Z College Search Report” and “Generation Z and CustomViewbook.” And, one of our famous, super-soft t-shirts. In the meantime, you can check out some Client Demos here. We can’t wait to see you in Salt Lake City at #NACAC18! 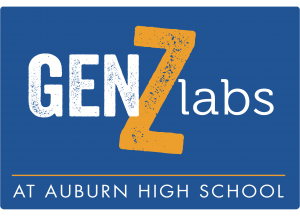 In our recent GenZ Labs User Testing Group, we asked college-bound juniors and seniors, “Do you receive emails from colleges and universities? We understand the challenge of actively engage Generation Z students. Providing opportunity for a simple, immediate exploration of your offerings, with follow-up that is student-interest driven, personalized and authentic – is key. That is exactly how we designed, and continue to evolve, the CustomViewbook platform. By keeping the end user experience in focus, our clients continue to get outstanding results. Summer 2018 – Hot, Super-Busy and Super Conference! 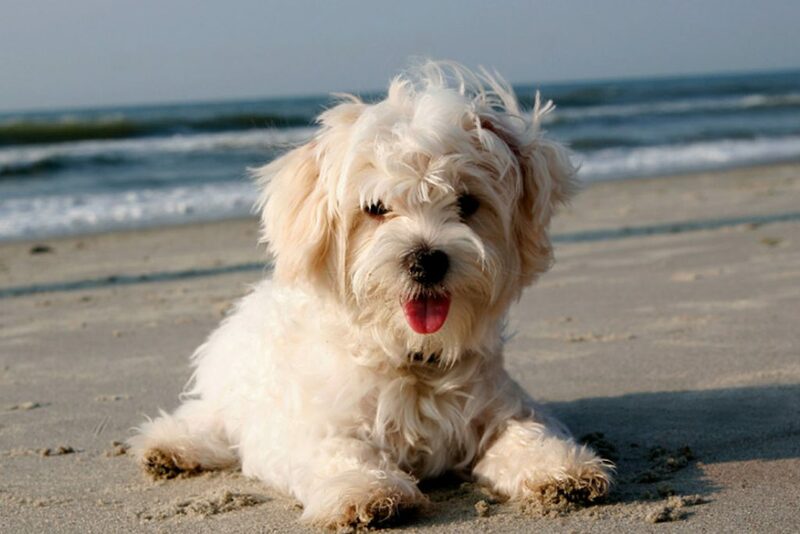 We hope everyone has been able to carve out some time for rejuvenating R&R. And that you’re staying as hydrated and cool as possible! The CustomViewbook team has been super-busy these past few months. A group of awesome new clients have come aboard; a new Advisory Panel has been established, helping guide us to an ever-smarter and effective recruitment platform; and lots of wonderful personal connections with Admissions, Marketing and Enrollment professionals across the country have been made. Feedback was highly positive. We are so grateful for the encouragement and suggestions from participants. For sure, we will be taking an even deeper dive into best practices to help our clients actively engage Generation Z student prospects. Stay tuned for some great insights and feedback from our GenZ Labs User Testing Group. These college-bound high school juniors and seniors were very candid and specific about how they prefer to conduct the college search, and the kinds of personalized communication they prefer. Speaking GenZ: Looking good, hypebeast. Curiosity and acceptance are hallmarks of GenZ, and Shahidi makes it clear she’s not passing judgment on the hypebeasts of the world. 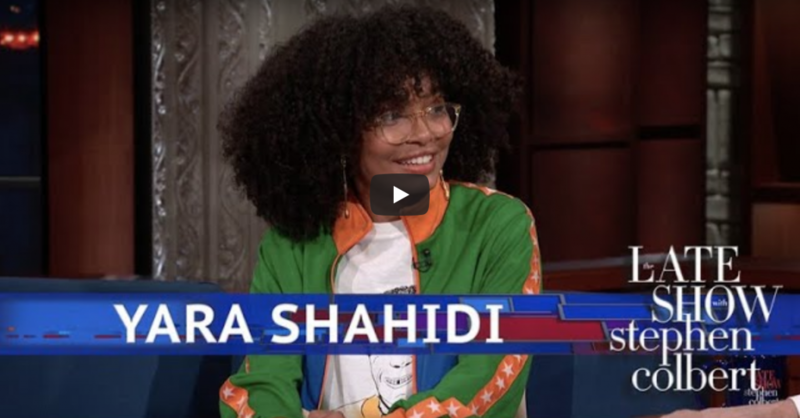 Giving props to her 14-year old brother’s superior trend awareness and sharing a Grown-ish clip that pokes fun at her college freshman character’s social media-as-self persona, just a few minutes with Shahidi reveals a range of insights into the GenZ experience. But perhaps the most telling is how Shahidi planned to celebrate her 18th birthday: a voting party. The surge in activism among Generation Z suggests a wave of student prospects focusing on results and holding high expectations for their futures. Far from disengaged, they’re encouraging each other to be part of the solution and make a difference – for the world and for themselves. 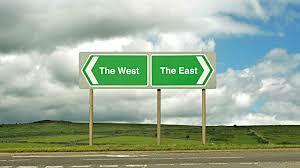 Are you meeting student prospects’ demands for self-determination? 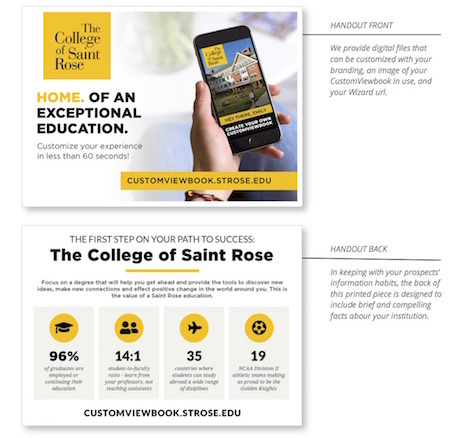 CustomViewbook can help you meet GenZ expectations for college search content that resonates with their personal needs and desires, putting each prospective student in control of what they explore and how they make contact. 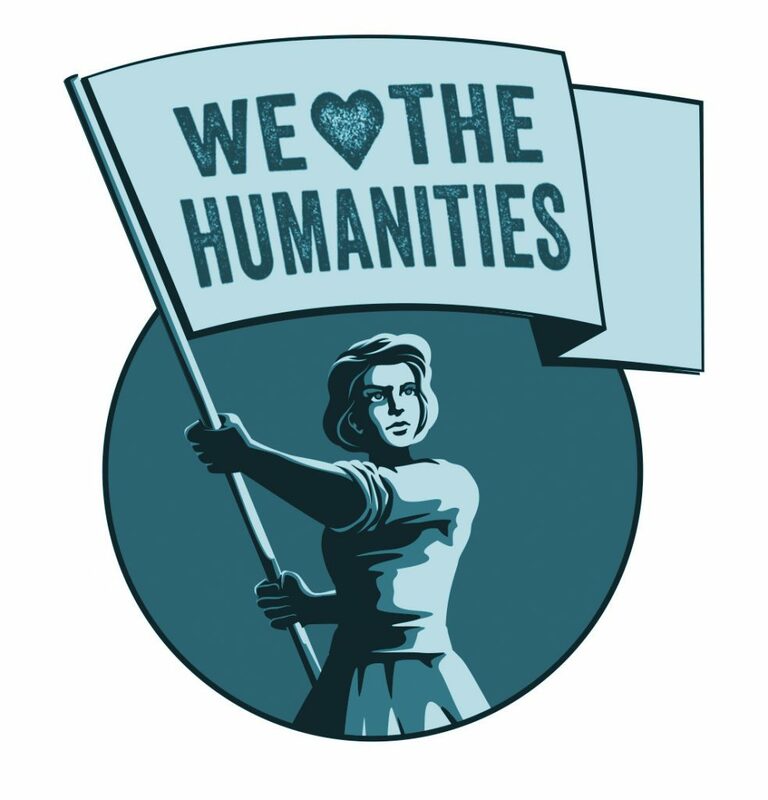 Together, we can bypass the hype to create genuine connections between your institution and future students. The mobile natives aren’t restless. They’re hyper-connected. While their millennial siblings may be the pioneers who blazed trails with mobile phone in hand, GenZ is the first truly mobile native generation. For student prospects who grew up with connected devices within reach, instant access to information at all times is expected, and judgment can be swift. 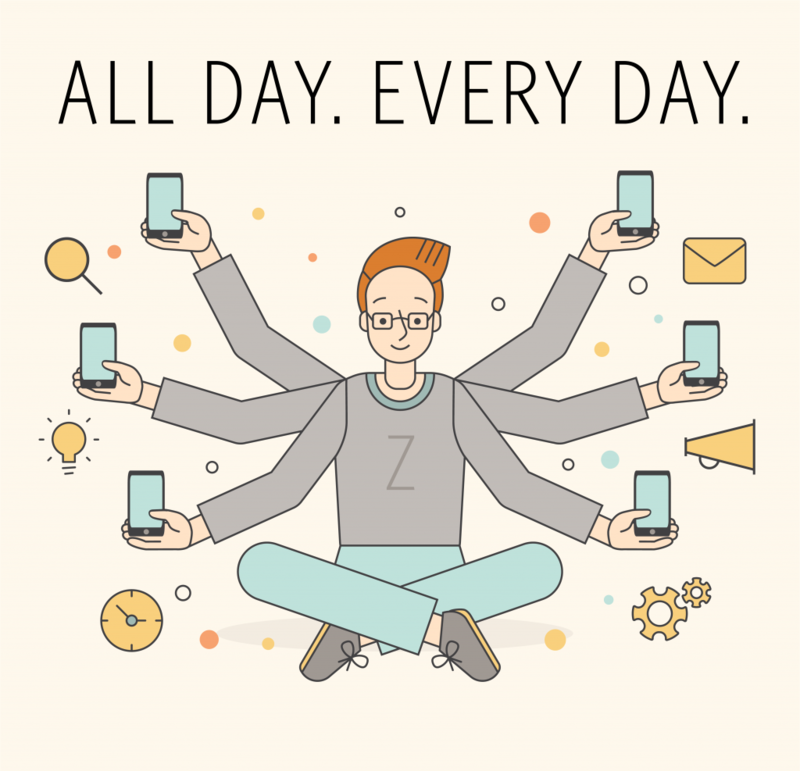 With a lifetime of practice bouncing rapidly from one subject to another, hyper-connected GenZ uses their cell phones for everything from staying in touch with friends to confidently navigating unfamiliar territory – like their futures. Think about it: more than 80% of your GenZ prospects will be using a smartphone when they first search your school’s website. Nearly the same percentage say the school’s website influences their perception of a school, making their experience at initial inquiry a critically important touch point to compel engagement and give them confidence in your school’s ability to meet their needs. So, how can higher ed successfully engage GenZ prospects from the start? By helping each mobile native focus on what really matters during their college search. Linked to from your website, CustomViewbook provides a user experience specifically designed with GenZ in mind. As a student prospect creates a digital Viewbook featuring information she chooses herself, she begins exploring how your school fits into her plans and dreams, including academic subjects, campus life, financing, future job prospects and more. The result is a personalized resource that instantly makes each student prospect feel seen, heard and connected. And because their interests have been captured for your database, and will continue to be updated upon revisits, you’re in a better position to assist their journey. That’s a hyper-promising way to start finding the right fit for both of you. Ready to learn more? Schedule a demo.